For magazine publishers looking to make an impact in the digital market, having a strong content marketing strategy has become a requirement. 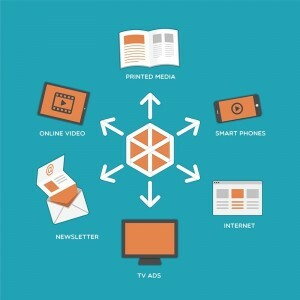 The problem, however, is that churning out enough high-value content to meet the demands of your information-hungry market is a time-consuming and quite often expensive task for small to mid-sized publishers. Many publishers are instead exploring content repurposing strategies as a way of being able to do more with their resources, for less. Not to be confused with republished content, repurposing requires that you break up and repackage your content into new formats and media for different platforms. Each time you do this, you will want to add extra value to the content, and ensure that it appeals to the unique audience of each platform it is placed on. Just some of the different mediums that your magazine content can be successfully repurposed on include apps, email blasts, website article feeds, e-books, videos, digital archives, social media, blogs, as well as across all popular platforms and devices in use today. Rehashing obsolete or time-sensitive content. Overlooking the importance of fresh new ideas. Repurposing content should not come at the expensive of new content creation. Forgetting to add extra value or functionality to your repurposed content. Simply republishing your content verbatim in different environments is ultimately pointless and may even have a negative impact on your SEO. ComScore recently reported that mobile devices now account for 60% of all time spent on digital media, an increase of 50% on the previous year. This means that publishers who are not already accounting for the mobile experience in their content marketing strategy may be neglecting a sizable chunk of their audience. Optimize your print and online magazine for mobile users. Repurposing your content on mobile requires that it be optimized for the form and function of small screen smartphone devices. A HTML5 mobile-first publishing solution will allow you to translate the design and format of your magazine into reflowable web articles, making it easier for your mobile readers to read and interact with on their smartphones. 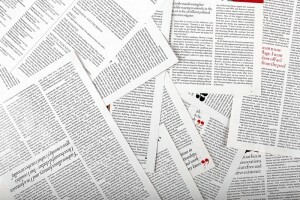 Publish new mobile articles from old content. Most publishers will invest the same amount of time and effort into creating high-value content for their blogs as they do for their magazine. So why not turn quality blog content into bonus articles, only available in your mobile edition? Not only will this give mobile readers more value for money, but it will help incentivize print or desktop readers to go mobile. Update old magazine articles with new ads. Unlike with print, your digital editions can be instantly updated at any time. Once you optimize all of your magazine’s back issues for mobile, you can easily go back in and swap out the old advertising for new campaigns, and will help you generate new streams of ad revenue for your business. Create new special issues by combining popular articles. Keep a close eye on the analytics for your magazine. Identify which articles are generating the best response from your readers, and consolidate these into mobile-only special issues. These editions can be sent out to your subscribers so that they get more value for their money, or they can be left open to everyone who would like to sample your magazine before they commit to a subscription. Leverage your mobile edition within the print and desktop space. Use creative means to draw attention to your mobile presence in the print and desktop editions of your magazine. By incorporating SMS into your content marketing strategy, readers can text a keyword you print at the end of your articles that will deliver them additional special mobile-only content, straight to their smartphone. Push mobile-first content to a live article feed on your site. Once your magazine content has been extracted into a mobile-friendly HTML format, your articles can be easily distributed to all of your different channels, including your website news feed. Push mobile optimized articles out to social media or in an email blast. Ensure you are getting the best visibility for your content by including article snippets in your weekly email blasts. This will allow you to condense your content down into bite-size pieces, and readers can click through to the full articles that interest them on their mobile device. Enhance articles with digital media to increase value. EMarketer reported that last year saw 107.1 million people in the US (one-third of the population) watching video on their mobile phones on a monthly basis. It is obvious that smartphone users prefer to consume content in different ways than print or desktop readers. Enhance and improve the mobile experience by including interactive, content-rich media, such as video and image galleries. Not only will this improve reader engagement but it will allow you to put to good use all of those extra media elements that you have accumulated. You can continue to profit from your published content when you decide to open it up for licensing. Content marketing is all the rage at the moment, but not every brand has the resources to create their own content. The good news for you is that your articles are a valuable commodity and can be licensed out to small businesses and advertisers who are looking for quality material that they can leverage within their own content marketing plan. If you have your publications already optimized into HTML articles, it makes it simple for you to divide your content up for pricing and distribution. If you haven’t already optimized your content for mobile audiences, then you will need to look for a mobile-first publishing solution that will do all of this AND help you achieve your content marketing goals. The good news is that Realview has just launched a new solution, called PARTICA, which has taken into account the content marketing challenges that magazine publishers face today. Keep reading to find out how you can go mobile and maximize on your content marketing efforts for a sustainable and profitable future.